Wilcox iterated that he told the Board that “he is committed to working on all the projects of the day to staying fully engaged until I am no longer in the district.” In the meantime, the Board will determine whether they name an interim superintendent (I suspect the Board to name Dr. Boyd Michaels) and initiate a search for a new superintendent. 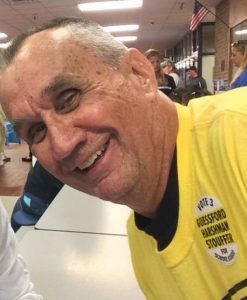 Wilcox has offered to help the new Board with the transition process; however, Stan Stouffer, the board’s newly-elected vice president, is, according to multiple sources familiar with the transition, pushing to oust Wilcox from the school system before Wilcox’s March departure date. Sources also claim that Stouffer, who has publicly opposed Wilcox and has disparaged his record as superintendent throughout the Washington County community, voted to oust Wilcox during a recent closed session, ensuring that Wilcox leaves the school system in advance of his tentatively scheduled March 3 date. Stouffer reportedly harbors ill will against Wilcox, and, according to those familiar with the transition, “is acting pitifully hateful” towards Wilcox. Other sources claim, with respect to the superintendent search process, Melissa Williams and Stan Stouffer involved independent counsel to discuss Dr. Wilcox’s contract without approval from the entire Board, effectively violating state law and Board policy. Conversely, however, six former and current Washington County Board of Education members – Paul Bailey, Donna Brightman, Jacqueline Fischer, W. Edward Forrest, Justin Hartings and Wayne Ridenour – penned a joint letter and submitted it to The Charlotte Observer, a newspaper serving Charlotte, North Carolina and its surrounding areas, praising Wilcox for his accomplishments as superintendent of Washington County Public Schools and offering a window into his leadership style. The letter appeared in print and online in the newspaper’s “viewpoint” section on December 19, 2016. We wish to congratulate the Charlotte-Mecklenburg Board of Education on your choice of Dr. Clayton Wilcox to be your new superintendent. As members of the board that hired Dr. Wilcox in Washington County, Md., in 2011, we can say without reservation that you have chosen a creative, passionate and innovative leader committed to a 21st century vision of public education. His accomplishments are many. We are sorry to see him go. Dr. Wilcox implemented a technology plan that put iPads in the hands of all students in grades 3 through 12. Leveraging this investment, he has proposed and the state BOE is reviewing an innovative plan that would allow our students to make up snow days with digital instruction. Through a partnership with the State of Maryland and our local community college, he overcame bureaucratic barriers to create a middle college. In this innovative program, students take courses at the community college during their junior and senior years. At graduation, students in this program receive both a high school diploma and an associate’s degree, saving thousands of dollars in college tuition and giving them a jump start on college and career. When our local government cut funding for the school nursing program during the recession, Dr. Wilcox formed a partnership with the local healthcare system to provide nursing services to our students. This partnership saved money and engaged our local hospital, physicians and other care providers in directly meeting the ongoing health needs of our students and their families. Leading the board’s team in contract talks with our collective bargaining groups through a persistent recession, Dr. Wilcox negotiated and funded six step increases for our employees in five years. By implementing Edupoint’s instant access electronic gradebook, he has transformed the ways that students, parents and teachers access student achievement data and collaborate on student growth. Gov. Larry Hogan appointed Dr. Wilcox to serve on Maryland’s 21st Century Facilities Commission which has been tasked to find creative ways to build schools that better serve students at lower cost. Through Dr. Wilcox’s creative vision, we have transformed an old car dealership into a public service academy. This extension of our technical high school is dedicated to educating the next generation of firefighters, police officers and emergency service technicians who will protect our community. And through the partnerships he has created with local public safety organizations, these students have real-life internships with local law enforcement, fire companies and first responders. The Observer asked in a recent editorial whether Dr. Wilcox would “ruffle feathers” in Charlotte. We are certain that he will. When someone makes excuses for a failing school, he will ruffle their feathers. When someone thinks a student can receive a 21st century education in a 20th century classroom, he will ruffle their feathers. When someone uses bureaucratic excuses to deny opportunities to kids, he will ruffle their feathers. When someone puts the convenience of adults before the needs of students, he will ruffle their feathers. But for anyone who believes that serving young people is not just a job but a privilege, that every student can learn, that access to technology can equalize opportunity for underserved communities and that the only things limiting opportunities for our children are the courage and imagination of the adults who serve them, then you will find no better superintendent than Clayton Wilcox.